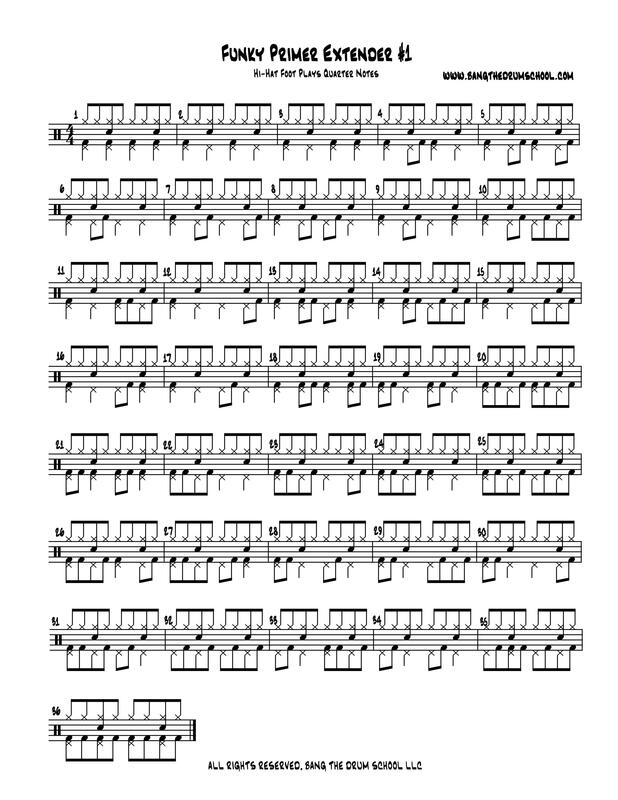 I’ve been using Charles Dowd’s “The Funky Primer for the rock drummer” with students for a while now. Great book for rock independence. The first independence section in the book, “Section 3A,” is simply four pages of eighth note bass drum variations versus the “standard” rock/pop ostinato of eighth notes on the cymbal and two and four (backbeats) on the snare drum. 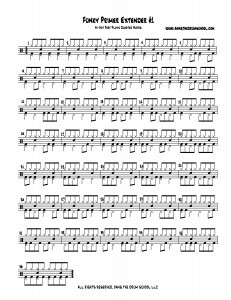 One of the things I like about this section is that it includes a lot of examples where the bass drum and snare drum play on the same note. This is usually what students find difficult, but it is a useful bit of independence to have. I’ve found that playing the bass drum along with key rhythmic figures of an entire bass line–even if the notes fall on two and four–can add a lot of weight to a groove, and I like having the ability to do this if I wish. Recently, I’ve had students get pretty comfortable with section 3A. I think that having other levels of independence with this section can be very helpful too. For example, adding the hi-hat foot on quarter notes, upbeats (“and”s) or all the eighth notes can be very useful for adding more texture or variations to standard rock grooves. Thus, this first of a series of “Funky Primer Extenders.” In this edition, we add the hi-hat foot on every quarter note. The cymbal hand plays the ride cymbal instead of the hi-hat in this case. I’ve only included the first 36 exercises of the section, because I’ve found that mastering these is enough for a good handle on this indpendence….the second half of section 3A simply consists of two measure variations of these first 36 exercises. Note that these 36 exercises are written as a 36 bar piece, but they are NOT meant to be practiced that way. Repeat each measure–individually–over and over until mastered. Then move on. The target tempos are 75 to 150. I have found that having control over rock grooves in that range will get you through most any rock situation.